We’ve been listening to a lot of feedback on our Chronomega Kickstarter campaign, and it’s clear now that the current course for the campaign we are following for Chronomega is simply not going to get this station into orbit. We had a lot of success with Ravingspire, and I know a lot of folks backed us on Chronomega because they supported Ravingspire, and I am so thankful for that! But even though that campaign went great, clearly we still aren’t experts at marketing our cool ideas. We are just three guys excited about creating unique games we enjoy playing, so we can sometimes miss the forest for the trees when it comes to presenting those ideas to others. Therefore it is with a heavy heart I announced that we’ve decided to cancel the campaign for Chronomega, so we can focus on going through the great suggestions we’ve gotten and prep the station for a re-launch. We’re going to demo it at more conventions, send it out and get it reviewed from trusted reviewers, look into playtesting solo functionality (a popular request! 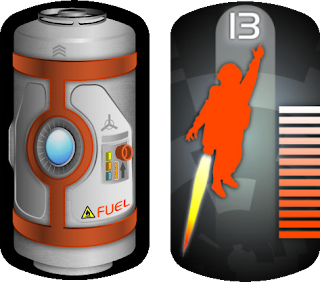 ), and most importantly create more online assets to better show you and the world how it plays and why we think it’s so awesome. Also we’re determined to make our next project’s shipping EU Friendly, and we want to make sure that’s in place before we re-launch. We really do think Chronomega is a winner, and we know its time will come! I want to thank everyone so much for your early support. And if you’d like to sign up for our newsletter here, we’ll let you know when we re-launch. We’ll also include a special bonus for you original Chrononauts who jet back aboard Chronomega when we return! As those of you who picked up Ravingspire know, we are proponents of a unique game box that personifies the game within. With Ravingspire we created a Wizard’s Tome-style box that we are really proud of, and feel it really exemplifies its deck-building Sword and Sorcery style. We have been working on making something thematic to house Chronomega and I'm hoping people will like it as much as I do. Its a hexagonal box for Chronomega that mirrors the shape of the transparent tech cards that are utilized by the scientist-astronauts in the game. 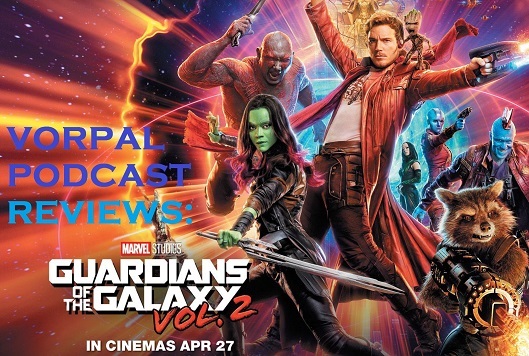 In this episode a rag-tag group of ne'er do-wells come together to talk about the much-anticipated Guardians of the Galaxy Vol 2! How does it hold up to other Marvel movies? Is baby Groot as adorable as promised? Who the hell are the gold people? We know the answers to none of those questions, and more! But we wildly confabulate none the less, and have a great time doing it. So come on over and give a listen while Cory, Suzy, and JC cut Guardians of the Galaxy down to size! BONUS: If you love rocketships, space, and sci-fi as much as we do, check out our brand new rocket-paced, rotating-space station boardgame: CHRONOMEGA, created by your podcast hosts at Vorpal Chainsword Games, on Kickstarter now! w00t! The Kickstarter for our upcoming sci-fi 2001 Space Odyssey-style board game (with just a touch of Starship Troopers), Chronomega, just launched! The year is 2137. The crew and equipment of the V.O.R.P.A.L. (Voyaging Outer Research Project - Advanced Launch) Time-Space Research Station, Chronomega One, have been emergency-ejected into outer space! You play one of the surviving scientists who must collect pieces of floating research tech and combine them into Electromagnetic-, Gravity-, and Time-bending tools to help bring Chronomega One back under control. You have no idea which member of the crew is responsible for the emergency protocol lock-down and crew ejection, so you can’t trust any of them! For 2-6 players. 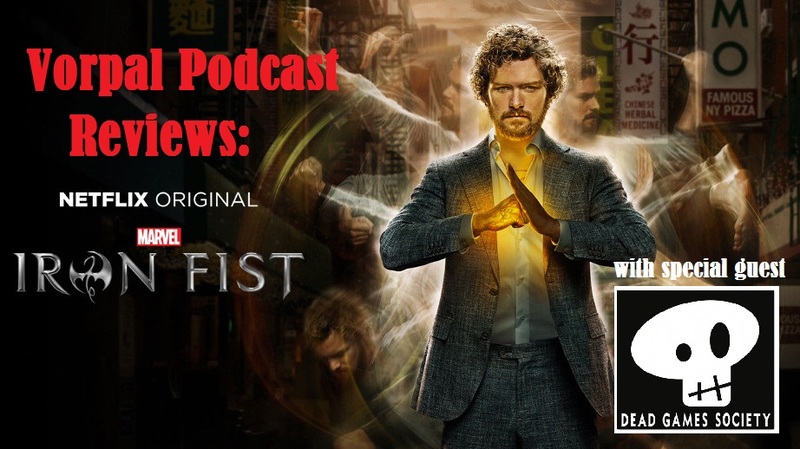 Cory and Suzy of the Vorpal Podcast are joined by Iron Fist expert Chad Parish of the Dead Games Society podcast to review Netflix's newest Marvel street-level superhero: Iron Fist! Clear your mind and summon up your Chi for this special extended Kung Fu Netflix edition of the Vorpal Podcast! Here's a teaser video of our sci-fi boardgame that is coming to Kickstarter next week. It has a murderous space station, time-manipulation research, transparent card-combos, and heroic scientists. We're pretty excited about it. Check out CHRONOMEGA May 9th on Kickstarter!